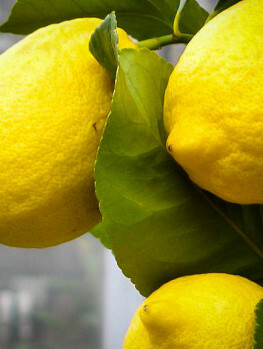 Growing your own fruit is a popular activity, and despite their exotic fruit, citrus is very easy to grow. Bearss Lime Tree is hardy in zone 9, and in colder areas it is a wonderful choice for a pot. Flowering takes place in late winter, and you only need one tree, unlike other fruit trees that need a pollinator. The fruits are large, with thin skin and plenty of tangy lime juice for drinks and cooking. Best of all, the fruit is seedless, a unique quality of this variety, so you never have to worry about those annoying seeds. You can begin to use fruit by mid-summer, and it will continue to ripen, becoming juicier and juicer, as the year goes on. By late fall or early winter they will be fully ripe, and the skin will show some yellowing. Fruit will store well for weeks and weeks in a cool place indoors, or in your fridge. Grow Bearss Lime Tree in full sun, in well-drained soil outdoors, if you normally have no frost in winter. 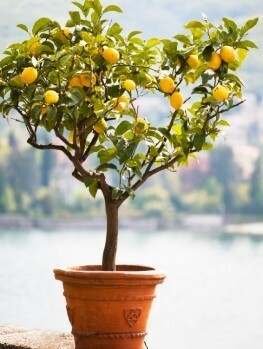 Otherwise plant your tree in a large container, in a well-drained potting soil, preferably one designed for citrus trees. Water your potted tree when the top inch or two of soil has dried, and water thoroughly so that water flows from the drainage holes. Don’t stand it in a saucer, and never use a pot without drainage. Bring the tree into a cool, sunny place when the outdoor temperatures start to hit 45 degrees. 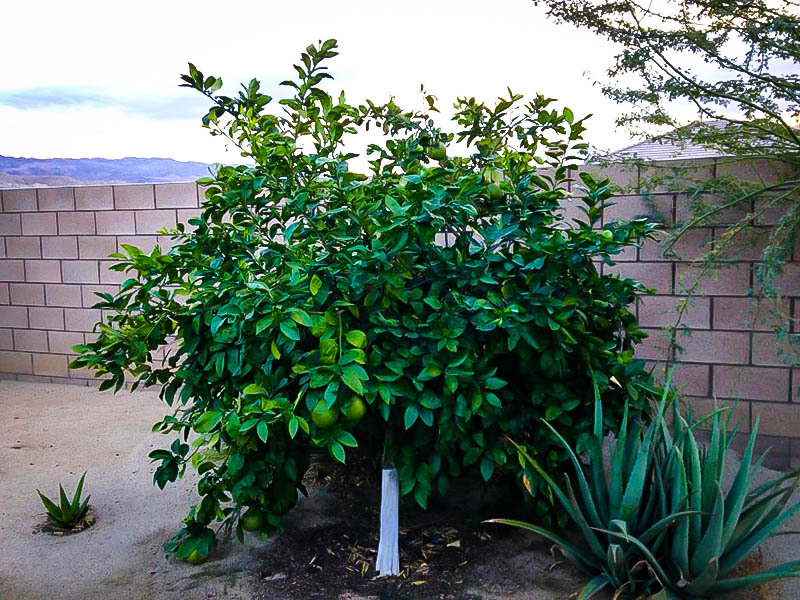 This vigorous tree will usually remain pest and disease free, and benefits from a regular fertilizer program, both outdoors and even more in pots. There is something magical about citrus fruits, with their glossy, deep-green evergreen leaves, white scented blossoms, and fruits that typically take until winter to ripen. The idea of having your own citrus might sound exotic, but in fact they are among the easiest of fruit trees to grow – far easier than apples for example. 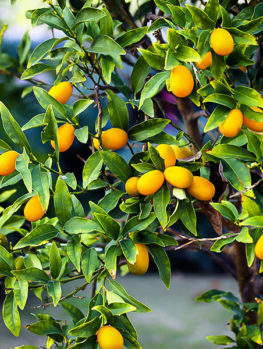 Not only are they easy to grow, but the fruit lasts for months on the tree or in storage, so there is no need for a harvest panic and much of the crop going to waste. Although they can only be grown outdoors in the warmest places, all of them can be grown in pots and sheltered in the winter, so in reality they can be grown all across the country. Of all the many different citrus fruits, limes are one of the most useful, as they can be used for drinks, pies, Asian cooking, and as a replacement for lemons. Imagine making your own mojitos with limes and mint right from your own garden. There are several different limes, but one of the very best – and also one of the hardiest citrus – is Bearss Lime. This well-established variety has large fruit, up to 2½ inches across, which are green, but turn yellowish when fully ripened. They are carried on a vigorous tree that can reach 20 feet tall if you are fortunate enough to be able to grow it outdoors, but your tree will be only about 6 feet tall when grown in a pot. Bearss lime tree is evergreen, with glossy oval leaves. 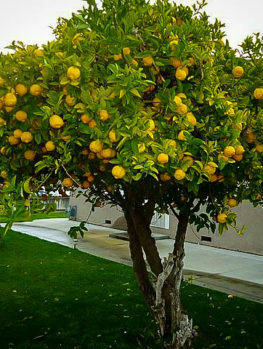 It has the great advantage over most other citrus trees of being thornless, so you will not hurt yourself handling the tree. It has branches that spread outwards and droop slightly. Flowers are usually seen in January, and they are white, with a slight purplish tint, and they have five spreading petals. The fruit ripens slowly, and it can be picked and used as soon as the fruits are fully grown, usually between June and September. The longer the fruit stays on the tree, the juicier it becomes. By late fall or early winter, the fruit will ripen fully, and the skin will begin to turn yellow. The skin of a Bearss Lime is thin, so there is lots of juicy flesh inside. A fantastic feature of this variety is the absence of seeds. This means that you won’t have those annoying seeds in the bottom of your drinks or need to strain the juice before using it in cooking. The fruit will store for weeks and weeks in a cool place, so you will have fresh limes for months. Freeze surplus juice in ice-cube trays, for instant use. 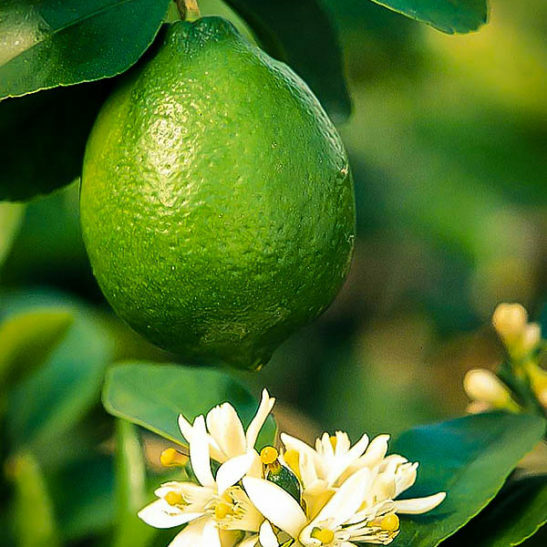 Bearss Lime can be grown outdoors in zones 9 and 10. Plant in a sunny spot, in well-drained soil. If your soil is inclined to be damp, plant on a raised mound about 6 to 9 inches above the surrounding area. If you live in colder areas, don’t despair – this tree can be grown in a pot, just as long as you have a cool, sunny place to grow it indoors during the winter months. Keep it outdoors in a sunny spot from spring to fall, and when the temperatures at night are around 45 degrees, bring it indoors, to an area that is sunny, but ideally only around 50 degrees. Good light is more important than temperature, and Bearss Lime is hardy even with brief drops in temperature to a little below freezing. Indoors, fruit will continue to ripen, and flowering may happen too. 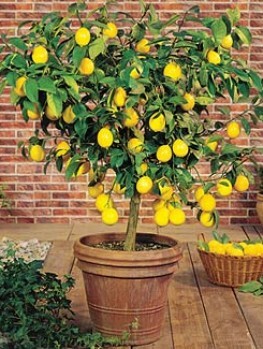 Plant in a large pot with drainage holes, and use a well-drained potting soil, ideally one blended for citrus trees. Water when the top couple of inches of the soil has dried. 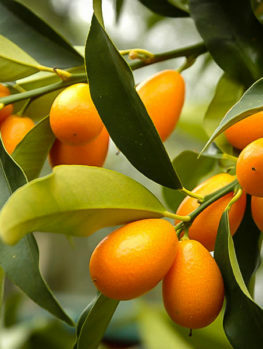 Feed regularly during spring and summer with a liquid fertilizer designed for citrus, which have very specific nutritional needs, for top success. 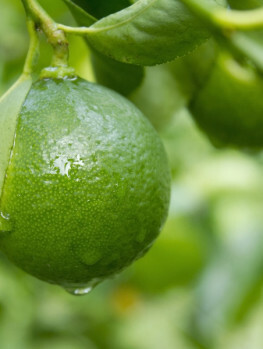 Bearss Lime is a variety of Tahitian lime, a hybrid between the Mexican Lime and the Citron. It was introduced into California from Tahiti between 1850 and 1880. It originated in the Middle East, and was taken to Brazil, and then to Australia, and from there to Tahiti. In 1895, at the T.J. Bearss Nursery, Porterville, California, a seedless plant was discovered. 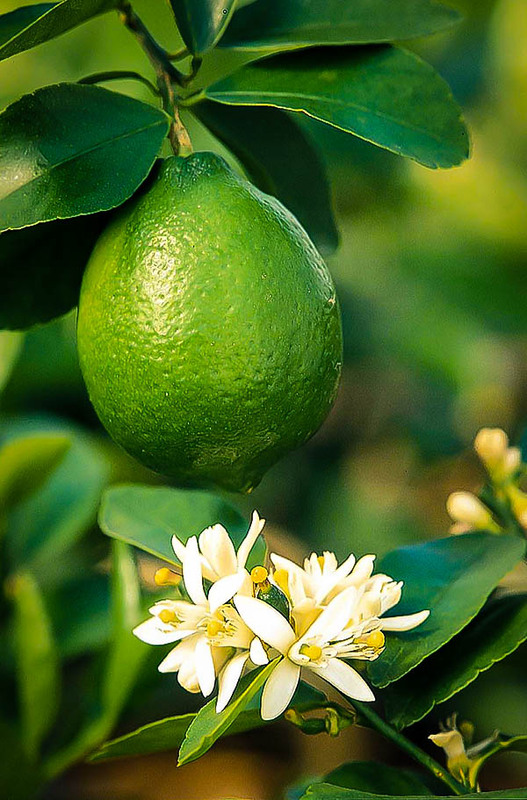 This became known as Bearss Lime, and it was widely grown in California, Arizona and Hawaii. It is an heirloom variety you will love to grow, for its beauty, and for the easy to use seedless fruits. Our trees are grown by taking stem pieces of named trees and joining them to roots of a seedling citrus tree called a rough lemon. This ensures that every tree is the same. Avoid seedling trees, which may be cheaper, but are very unpredictable and never produce fruit of high quality. We have a good supply of Bearss Lime Trees, but this very popular tree is always in high demand so order now while stocks last.